I truly believe that in life, certain pivotal moments will occur, moments that will change everything forever. One of those moments happened for me on August 31st 2009…the day I met WOW. 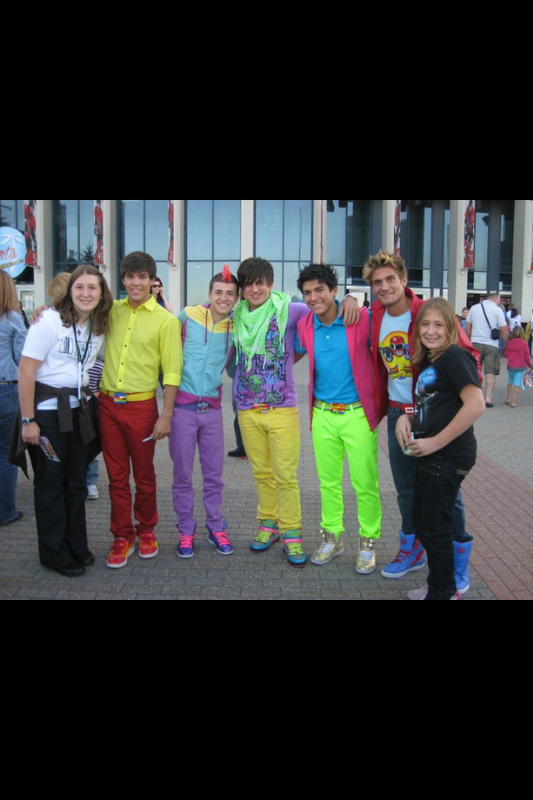 I was headed to my second Jonas Brothers concert in three days, in Ottawa, and as I was excitedly heading into the venue, I passed by a group of five guys, sporting neon clothing. I had noooo idea who they were, and quite frankly, neither did I care. I was 12 at the time and my only concern was getting into the venue & getting to my seat for the concert. THANKFULLY, my mom stopped me and said..”Giuliana, you better go meet those guys. You never know, one day, they might be famous.” So, I listened to my mom…thanks Ma!!! Myself, WOW and my sister! Over the course of the next year and a half, I became crazily obsessed with this boyband and travelled to several places to see them. It was cool, as they were a band that was just starting off, so I got to know them and would have conversations with every member whenever I would see them – I even got them all to come to my high school one day! 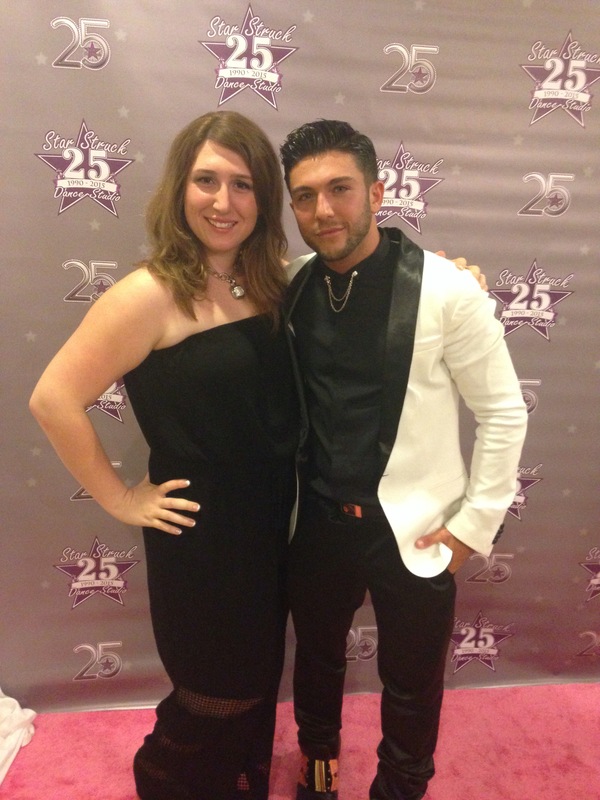 From the time Frankie started his solo career, I knew I wanted to help him. And I had one goal in mind: for him to no longer just see me as a 13 year old fan, but see me as someone who could seriously help him on his journey to stardom. I believed in Frankie with the entirety of my heart from the very first day, and six years later, I believe in him just as much. So there I began, on my journey to proving myself & making sh*t happen hahahah. I started tweeting anyone who I thought had any connections in the music industry whether it be a producer, a manager, an agent, a reality star, a reality star’s parents, siblings, friends, aunts, uncles. You name the person & I’ve probably already tweeted them one of Frankie’s videos hahahah. I spent countless hours and days, sunny & rainy, to try and get results. And oh results did I get. From using Twitter to my advantage, I got Frankie noticed by top music industry related individuals & got him several online interviews, featured on the front page of RyanSeacrest.com (not once, but twice) & even got him interviews in magazines. Was it easy? Definitely not. Was it time consuming? Heck yes! Discouraging at times?! Words can’t describe. But was it worth it? Absolutely. There was no feeling more satisfying than that of being able to tell Frankie “hey, I got you an interview with x person” or “OMG! Rodney Jerkins just watched your video.” Every “no”, or every ignored message, made those “yeses” and positive responses that much more worth it. Now, let’s fast forward a little bit more. The 2012-2013 school year. Where I went to high school, I was in the International Baccaleaureate Organization, which meant that in our senior year (Grade 11), we had to work on a year long “Personal Project”. Still trying to help out Frankie, I figured that if I had to dedicate so much of my time to something, I would love to tie it in with what I was doing for him. That being said, I made the goal of my project “to see if having a career in the music industry is something I would seriously like to pursue” and did this by taking on the titles of booking agent, concert promoter, and PR agent, for Frankie. Throughout the year, I worked day in and day out to help make this project a success – I got Frankie to perform at my school variety show, which turned into him later coming back to do his own show, I organized a promo tour for him, got him a few TV interviews and even landed myself on the Global Montreal Morning News Show. It is through the duration of this project that I proved myself & showed that I was more than just a “fan”, that when I believe in someone, I believe in them till the very end, and that when I do something, I give everything I have towards it. Over the last three years, I have taken my project outside of school & have continued on the same path. Frankie is still the only artist in my sight, I have solidified my passion, have met some of the biggest power players in the music industry & have truly experienced the most incredible things.